Here you can find a list of LotR-themed mods for different games! Interviewpartner: Ngugi; Mods: DCI: Last Alliance Total War, DCI: Tol Archan (M2TW: Kingdoms). Welcome to the second interview of the TMC Modder's Interviews. 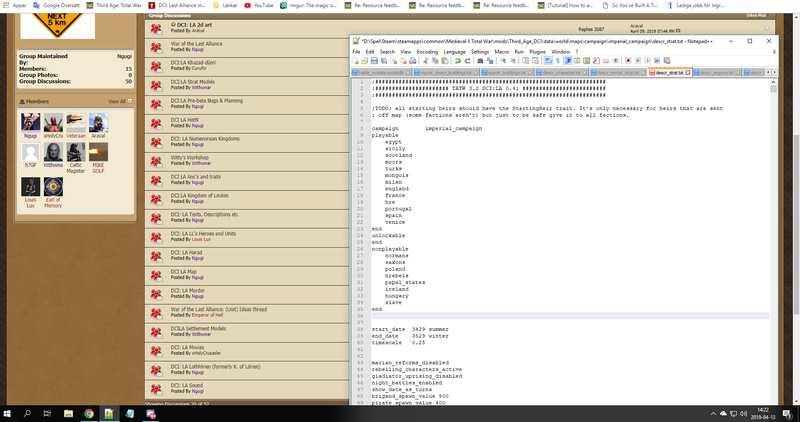 I will try to mix the games and mods for the interviews as much as possible and here we are, today reading a bit about Total War with. Hello, Ngugi. You are the first Total War modder which I am able to interview, I will try my best not to scare off the other ones. Lets start it in the conventional way, with an introduction of yourself for those who don’t know you. Answer: Let's hope we shan't scare anyone! 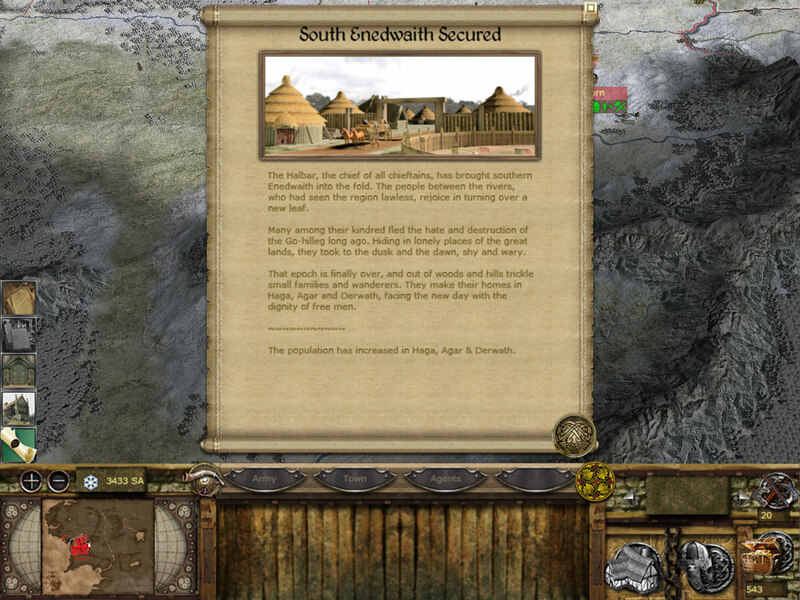 I'm known as Ngugi, I'm from Sweden and best known as the team leader of the Third Age: Total War-submod DCI: Last Alliance, as the local moderator of the Third Age-forum at Total War Center [TWC] since many years and finally perhaps as a bloke who share Tolkien lore whenever a topic is up for discussion. First one of the most important questions for some people here: What do you prefer, the books or the films? Answer: I read the books a few years before the films arrived and was very pleased with the adaptations we got, arguably the best we could hope to get considering the notion that it were an "unfilmable" trilogy. Therefore I am a very fond of the films, while the books are closer to my heart. It's a bit unfair perhaps, hehe, as the books naurally have more time to delve into the layers of world building and present the characters, and I'm the kind of guy who love lore, making details and ancient history my cup of tea. When and how did you come into touch with modding? Did you have any past experiences which helped at the start? 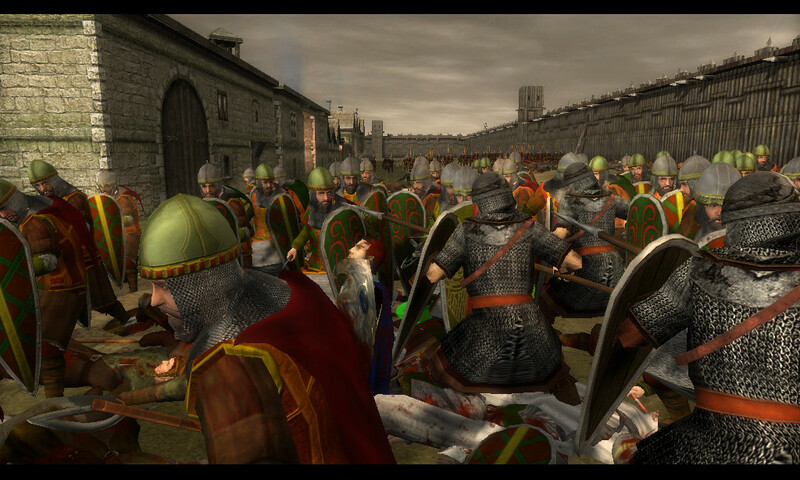 Answer: Not at all in fact; in 2010 I came upon the mod ‘Third Age: Total War’ and began to play it. Spring 2011 I concluded there were ideas that I wanted to see, and that if I wanted them to become reality it was more efficient to spend my time learning how to create them rather than hope someone else would agree and do it for me. I had no prior experience of modding, but picked up tutorials on TWC and made friends there who taught me what I needed, step by step; still today I learn new things at need, it's a creative process only limited by ones own interests and goals. 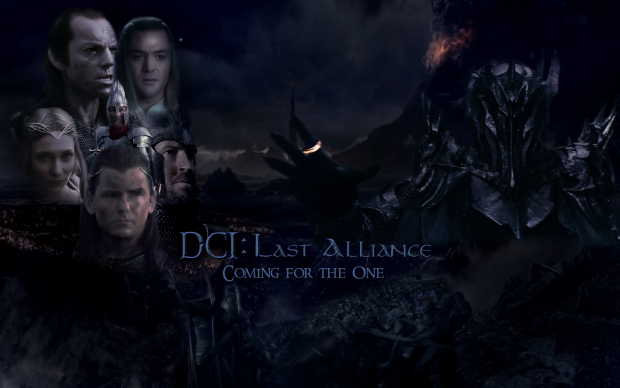 You are lead developer of the ‘DCI: Last Alliance Dev Team’, which is currently working on the mod ‘DCI: Last Alliance Total War’. The official moddb development at this project started in January 2014, plans have been made far earlier. In May 2015 the little project, ‘DCI: Tol Archan’ was released. Has it been some kind of little sidekick project to keep the team motivated? Or to attract new talented people for your project? Or just some breadcrumbs for the lurking folks out there, waiting for the announcement of a release date? Answer: The seed to DCI:LA began already in 2011, when me and my brother-in-arms Withwnar began the TATW-submod Dúnedain Counter-Invasions: Tôl Acharn. The abbrevation DCI derives from just "Dúnedain Counter-Invasion". In it we added, as the name implies, counter-invasions [jihads] for good human factions to counter Sauron's Invasions [crusades]; the credit for the so called DCI-mechanics of the counter-invasions goes to Withwnar who is a true script-wizard. We released that during the late spring of 2012, if I remember correctly, while I in August that year approached Withwnar again for a new project that became DCI:LA. There had been no Second Age project that survived an early stage development at that time, but using the DCI-mechanics - that could allow factions from different cultures [religions] to join in on a jihad - I for the first time forsaw that it was possible to make the Last Alliance justice. So we began, and made it public later that Autumn on TWC; while our friend echuu, in order to spread awarness, made us our ModelDB entry in 2014, indeed. You have gathered around you a relatively big modding team with ten active members and another ten freelancers and coworkers as far as I am aware. The developement is going on for over five years now, it is a bit a mystery for me that only two modders have retired in such long time. Have it been so many already from the beginning or did most of them join while the mod evolved and showed off at the articles and videos? Answer: Aye, at the moment we're nine - a remarkable big team of members, and co-workers shall be added to that, especially considering that the amount of Medieval 2-modders naturally become fewer the older the game becomes. As to why and how we managed to stay so solid over the years I think depend on a couple of factors. First the "old guard" all were modders we knew already on TWC, often we been on other projects together or aided each other with issues, meaning we could recruit people we knew to be both competent and relaible: Araval, earl_of_memory and Vetera@n. It is very detrimental to a project when members can't be trusted to deliver or suddenly disappear, and we've been able to avoid that thus. Secondly the fact that we had competent modders meant that we could present a project that attracted modders of skill along the way: xHolyCrusader, misteed, Louis Lux/Van_louis (who worked on Third Age) and recently AugustusNocturnis. When each bring his A-game to the project we constantly impress and inspire each other, and that is a blessing for the ongoing work. Same goes for our valued testers, unsung heroes of any good modding project. Finally we have a good time - no matter the vision, if the team do not have fun together and there is respect for each other, people will not devote their time to it, nor would I, but each modding day offer a good smile. 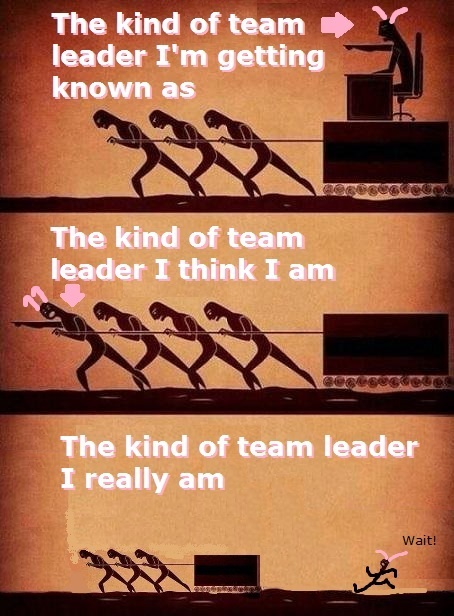 How is it to work in such a big team? How are you organising the work there as a lead developer? Answer: We work via forum with dedicated threads for each topic. As a matter arise the discussion is handled where fitting, all are allowed to add their voice if they have an opinion (the important thing to me is that everything is handled in public and avilable via the posts, we do not work via PMs or chats, that way all can follow what's going on even if they do not have an active interest in a specific topic). We twist and turn the topic trying to ensure we make a proper decision (and it can be really indept). If all then agree it's easy. However if there are different preferred solutions it is on me to take in all viewpoints, evaluate it from different angles and make a judgment what we shall go with. It might seem appealing to be the head who can make the final call, but as much as it is a privilege it is a hard duty, and not seldom a burden. I hope that the fact that the team stayed together is a proof we feel we work in a fair enviroment though, hehe. There are in your team modellers, artists, mappers and I even saw someone having the role of a manager. What about a musician? Are you simply relaying on the film music and the other musical pieces used in TATW? Or did it just happen that no one with musical talent joined your team? Answer: I'm in charge of voices and SFX, and as such also for music. It's not been a prioritized topic on my part as other fields been more crucial (and I've as a rule tried to rank prio for what need to be done in what order), so not head hunted anyone to do it myself, and not been any music modder who applied hehe. At the moment this mean that TATW is at core but we do have sources to bring in, including from other TW games but also from other mods. For example we've been granted use of the work of Filip Olejka, who did music for Rise of Mordor, a LotR mod for TW:Attila. We'll see where it lands! 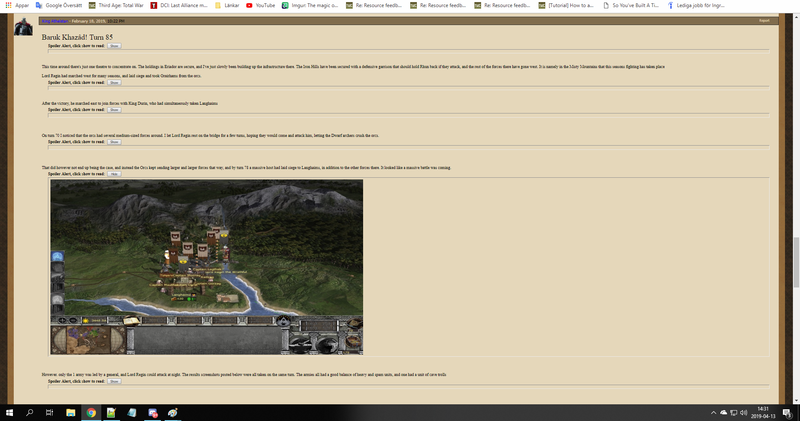 Nearly every bigger mod has had discussions about the directions the mod shall take, be it in regard to the music, to the time setting of the mod, to the participating factions, sometimes even about little details such as the look of units and their names. How did the discussion there went for your mod team? Or are you feeling more free at this topic due to the films only covering a glimpse of the happenings at the ending of the Second Age? Answer: Quite free, yes. The fact that the Second Age is the least known of the three renowned ones, even among lore scholars, made it easier for us to work according to our own minds without set expectations from the community. This do not mean the interest is not there, but while everyone will have an opinion on how a Rohan rider should look for example and a Third Age-mod developer might feel pressure to adapt, we felt support in our design choices that we tried to take as close to what we deem Tolkien would approve as we liked. I have looked around a bit, and solely on moddb I am counting 42 articles, 12 of them with videos in which everyone is able to enjoy your story telling. The fate of a lore master, it seems. Did you actually sign up for this work or did just no one else wanted to do it? How time consuming is it to create such detailed working reports for the fans out there? And if you could set back the time, would you invest the same amount of work into them again? Answer: Thank you very much! As the team leader I always taken the task of sharing information upon myself, it just been natural to me. It is a burden in time and effort, to be frank, but knowing that it help people discover a game they might want to play makes it worth it. Would I do it all over again? At the moment rather not, haha, but I do not regret it at all. The time needed is fairly long for a video, perhaps two work days depending on how much editing I spend. The picture previews goes faster, though as someone must take the pictures, and if counting the descriptions, I'd say perhaps 4-5h? Not thought of it so much, as they're all gladly quite fun to make (except when editing mess up, and there's always editing that mess up, haha). Which problems occured for you while working at the project? And how did you solve them? Answer: Problems have mainly been where the team lacked the skills to solve any given obstacle. Usually we've been able to put it aside and in time someone with the knowledged been possible to locate that joined or done a freelance gig, solving matters. 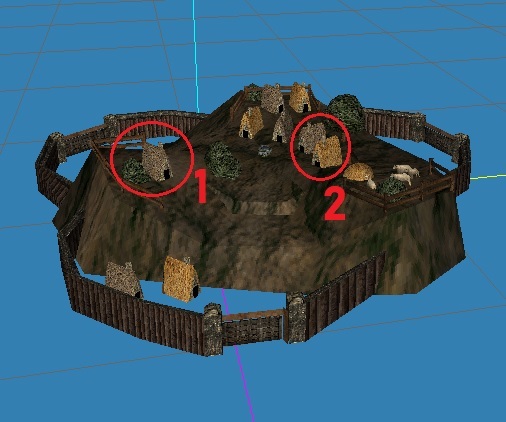 At the moment I can only think of one actual problem we got that has not been possible to solve and that is the walls of Minas Tirith; the engine assign siege towers of wrong size when we've tried to change it into a castle. As editing them is very problematic we've had to keep it a city instead, which I do not fancy. You are responsible for the lore, coding, unit stats, game balance and the sounds of the mod. All of it can hardly be seen and cannot be as easily reviewed and commented as the work of modellers or artists. How do you gather feedback about your work? And how does in general a good feedback for your work look like? Answers: A good question that, as these are matters that mostly are apperent when something fails, hehe. To instead improve what's working but isn't as good as it could be, one has to keep a finger on the pulse at all times, take into account what developers say and especially feedback from our testers. And they've been great; we usually ask for their general impressions and enjoyment, and they give feedback on this, not seldom in the form of progression tales (as if it was a fiction story with the characters, events and obstacles) that allow us to capture the settings of the game. Do you think your modding experience influenced you in any way? Maybe, your professional career or your studies? Was it purely a hobby for you? Answer: Purely, but it naturally had good influence through experience in how to lead and organize (as in my thoughts on why the team managed so long), that I've been able to utilize in my career and private life both. It has enhanced my understanding for the value of respect and care for people I work with or spend time with. Working on a mod is hard work and time consuming. Has there been sometimes a moment at which you thought: ‘Nah, it’s not worth all the trouble, I rather play mods than help developing them.’? Answer: Once a week, I'd guess? It is a greater strain than most know, and responsibility to deliver can feel tiresome - but then most every day modding is its own reward. Seeing the grand work of friends coming together boost, and as a rule a period in school might been tough or a work period been taxing but DCI:LA given me joy and energy again. You will for sure have also played one of the numerous other LotR mods out there or even one of the official games. Has there been sometimes a moment in which you saw the possibility, to transfer a game mechanic or simply an idea from one game or mod into yours? Answer: Inspirations are constant and broad. As for mechanics we got animations from Europa Barbarorum II, but I'd rather point to the improved diplomacy features that comes via Withwnar's "Total Diplomacy", that can set allies to be very aggresive against a given foe, ally your allies to each other or force an AI faction to behave resonable. All that allow the game to operate more as other games with better diplomacy than M2 ever offered! Once upon a time, a LotR-mod has received a C&D order and had to stop developement. At least in the discords of the LotR mods for M&B it has been discussed numerous times. How does it look like at Total War? Do you think your work comes into conflict with intellectual property rights? And do you fear sometimes that the DCI-projects might share one day the same fate? Answer: Yes, I know the case you're referring to. And while TATW and submods do not have any intellectual property rights, I do not think it will suffer like that for a couple of reasons. One is that TATW (and many submods) is already out meaning it arguably would impossible to remove it from the web now. Also it is mods to an old game that presumably isn't considered a competition, and, possibly most critical, it's not distributed through Steam or alike service, where it could really compete with potential LotR titles. My view is that if Warner Bro's et al. comes knocking that's that, but I do not think they'll bother. Lets walk into the same direction but a different path: Using assets from other sources have always been a topic for the LotR modders out there. What are your thoughts about people using assets from other source – such as maybe your mod one day – without permission? Answer: To me its a matter of respect within 'the trade'. It is my honest opinion that we modders shall respect our fellow modders, whether we like them or their decisions or not. Meanwhile the team's policy is that the way the modding community in general improve and prosper is by sharing, be it knowledge or resources; most content in DCI:LA will be free to use in other mods with simple credits to this end. If they can't show respect to give credit, then I hope the community of players will become aware of the dignity of these people. Some sources are old LotR-games which are no longer supported by the companies which released them. Does your answer differ here? Answer: Well, first said I'm modding a game based on an intellectual property world of Tolkien Estate, with visuals and 2D owned by Warner Bro's et al, with sounds from other games, with music that is not original, etc. Had modders had commercial purposes I would disapproved, but as we do not, I do not object lest the legal owners act against it. Looking at the list of LotR mods for Total War shows that a majority of them are basing on Medieval 2 Total War: Kingdoms (M2TW Kingdoms). What do you think are the reasons for that? Is it due to the fundament which King Kong has laid there? Or is it simply the best modable game out of the Total War series? Answer: A combination of both, more the latter however. The options are vast with M2, with maps and scripting especially. King Kong and his co-workers efforts is a splendid stepping stone that allow us not having to reinvent the wheel in many cases, but had later TW titles been as moddable I'm sure we would seen more fruits of them by now: modders are an ambitious and tenacious breed! Looking at another similar modding project which started development last year, ‘The Last Alliance’ lead by Sara_Temer, not for M2TW: Kingdoms but for ‘Total War: Shogun 2’. Any tipps you want to throw across the internet to the developers there? Answer: Same as I would give to any project: define and focus on what's essential for the core game. As in, do not spend time making UI before you coded the factions or implement music before unit models are worked on. For a long project, do yourself a favour and make sure discussions and decisions are logged and avilable somewhere - it's very helpful to be able to return to a topic later and know why something was or was not decided. Not meaning different input is not very valuable or that you should never change your mind, but keep your own vision near to your heart - you can never do a hobby project like this for someone else, you must do it because you want to enjoy it. And make sure all or several members have a back up of the build - to often years of work been lost when a single member's hard drive crashed. What is your favourite LotR mod? Why do you like it? Also, is there any project that caught your attention lately? Answer: A TATW submod named "Withwnar's Submod Collection". As obvious from the name it's by my friend, that tends to be of same mind as I; it contains Total Diplomacy, DCI: Tôl Acharn and some roleplaying content that elevates TATW to what I want in my LotR experience, with no sloggish turns or other draw backs. What is your overall impression of the LotR modding community, of the ones for Total War, and in general? Answer: A positive one, many knows each other, or of each other, and are helpful and encouraging across the board. We might not share goals or each others individual interests, but are glad for each others contributions to the whole. And – to turn a bit around the table - What do you think about the fan base, waiting for the release of ‘DCI: Last Alliance Total War’? Are they setting the expectations too high sometimes? Answer: Hm, I dare think no: I hope that they expect what we have put to display, and if so, I'm confident they will enjoy it. Finally: Would you like to say anything to creative people who are reading this interview at the moment and might think about bringing LotR into a game? Renewed shall be blade that was broken, The crownless again shall be king." Thank you for such in-depth behind-the-scenes coverage!